Are you adventurous? Young? Or young at heart? Passionate, curious, not afraid to take the lead and own initiative, interested in different cultures and do you want to create an everlasting contribution and make a difference? Join us. You’re more than welcome. We expect from our volunteers that you prepare yourself properly on your job, that you are enterprising, take leadership, initiative en that you not sit back and wait. There is no “To-Do-List” available, but we make a planning based on your preparations and our needs. Would you like to spend one or more nights at our hospitality guesthouse – alone or with friends, family and children – and do you want to visit the Sithand’Izingane care project? Please contact us and sent your @mail to maarten@sisiza-ukusiza.com. Are you over 18, and are you looking forward to do volunteer work (minimum is 4 weeks) or your internship at the Sithand’Izingane care project, approximately 56 km southeast of Johannesburg, South Africa? Are you willing to lend a hand for a shorter or longer period? Are you passionate to work with other volunteers and to stay in our volunteer house, but do you also want to explore the bustling city of Johannesburg? Let us know how your ideal visit would look like and together we make a suitable plan. If you are interested to visit or to lend a hand, please send your @mail to: maarten@sisiza-ukusiza.com or call us for more information. 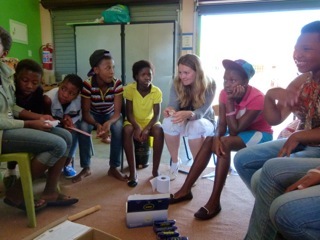 The entire volunteer program in Johannesburg, South Africa, is led by Dutch professional management. At this time, non of our volunteers is writing a weblog on internet.